Sigrun Habermann of the UN Library moderated the talk. Webster Geneva's Oana A. Scarlatescu and Oreste Foppiani, co-editors of the volume Family, Separation, and Migration, spoke, along with Archbishop Ivan Jurkovič, Permanent Observer of the Holy See to the UN, and Areti Sianni, UNHCR senior protection adviser. 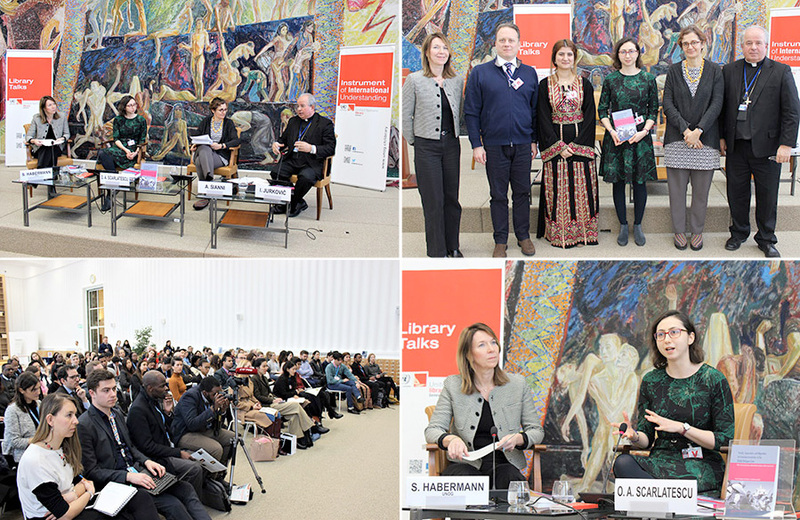 On Jan. 29, the UN Library together with Webster University Geneva organized a public talk and book launch on the theme of "Migration and Separation: The Impact of the Global Refugee Crisis on Families." The talk attracted 125 participants interested in exploring the issues around migration that are particularly pertinent to current affairs. 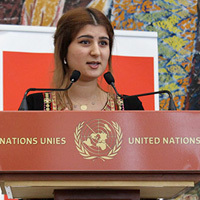 Aya M. Abdullah, undergraduate student at Webster University, delivered the opening speech. Abdullah told her personal story of living a refugee experience twice; first when her family fled her home country, Iraq, and once again, when they were forced to leave Syria. The current rise in populism in Europe, as well as current economic challenges, have created a negative perception of refugees and the need to change this prejudice. Oana A. Scarlatescu and Oreste Foppiani of Webster University Geneva, co-editors of the volume Family, Separation, and Migration, spoke at the event, as did Archbishop Ivan Jurkovič, Permanent Observer of the Holy See to the UN, and Areti Sianni, UNHCR senior protection adviser. Sigrun Habermann of the UN Library moderated the talk. Foppiani is associate professor and head of the department of History, Politics and International Relations at Webster Geneva. Scarlatescu is a visiting research fellow on international relations and human trafficking. Attendees asked many relevant questions to the panelists and pointed out, among other things, the need for a kind of a “Marshall Plan for Africa” as a way to improve the economic and financial conditions of this demographically explosive continent: In a few words, a way to regulate the migration fluxes towards Europe and spare the lives of hundreds of thousands of men, women and children who are ready to risk their lives to escape from their countries.